Hillary Clinton’s private server was hacked by a Chinese-owned company operating in the Washington, D.C., area. Two sources that were briefed on the matter told The Daily Caller News Foundation that the server was hacked throughout Clinton's term as secretary of state and they obtained nearly all her emails. 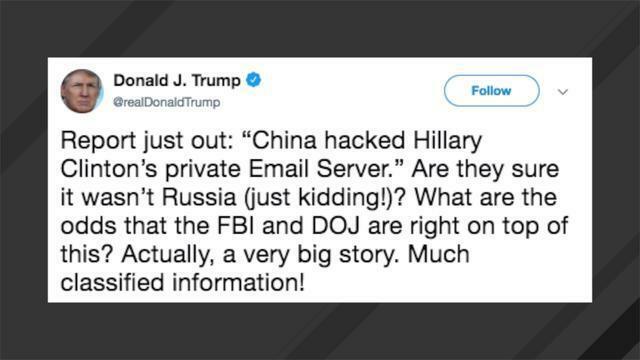 According to the sources, the Chinese firm obtained Clinton’s emails in real time as she sent and received through her personal server. The Chinese wrote code that was embedded in the server, which was kept in Clinton’s residence in upstate New York. The code generated an instant “courtesy copy” for nearly all of her emails and forwarded them to the Chinese company, according to the sources. Rep. Louie Gohmert, a Texas Republican, said at a July 12 House Committee on the Judiciary hearing that the Intelligence Community Inspector General (ICIG) found that virtually all of Clinton’s emails were sent to a “foreign entity,” He did not reveal the entity’s identity, but said it was unrelated to Russia. According to a former intelligence officer with expertise in cybersecurity issues, Investigator Frank Rucker and attorney Janette McMillan with ICIG met repeatedly with FBI officials warning them of the Chinese intrusion. He spoke anonymously because he was not authorized to publicly address the Chinese’s role with Clinton’s server. Peter Strzok was one of those FBI officials, who was then the bureau’s top counterintelligence official. Strzok never followed up on any of the information the ICIG provided him, according to Gohmert. In the Judiciary Committee hearing, Gohmert mentioned that ICIG officials told Strzok and three other top FBI officials that they found an “anomaly” on Clinton’s server. London Center for Policy Research’s vice president of operations, retired Col. Anthony Shaffer, told TheDCNF that Clinton’s server could have been hacked by a fourteen-year-old and left little trace. All I can do is thank God that she is not our President. Truly amazing, thank you for the great article Lexy. I'm sure China isn't the only one who has them.